Aquarium researchers and staff are on expedition to the remote Phoenix Islands Protected Area (PIPA) to study the natural history of the islands, surrounding reefs and connecting open water ecosystems. Research on the 2015 expedition will directly inform the management and maintenance of this world-renowned MPA. Today's post comes from Sangeeta Mangubhai, the chief scientist on board the expedition. With only five days to go before we head off on the Hanse Explorer for the Phoenix Islands in the Republic of Kiribati, there is no time to sit around and pontificate. The days before an expedition starts are chaotic, as we double check, and then triple check that we have everything we need. Once we pull up anchor and leave port, there is no turning back as we head to one of the most remote marine protected areas on this planet. 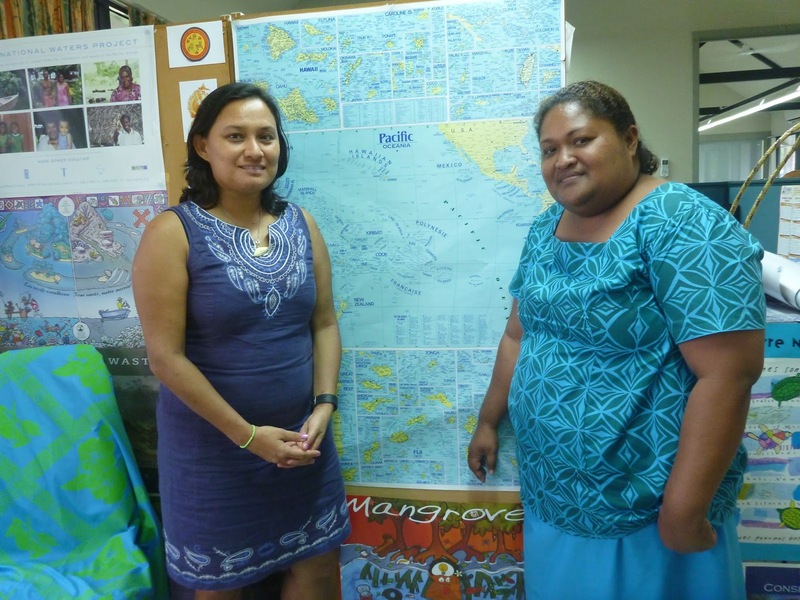 My main task for today was to meet with turtle expert, Catherine Siota at the Secretariat of the Pacific Regional Environment Programme (SPREP). 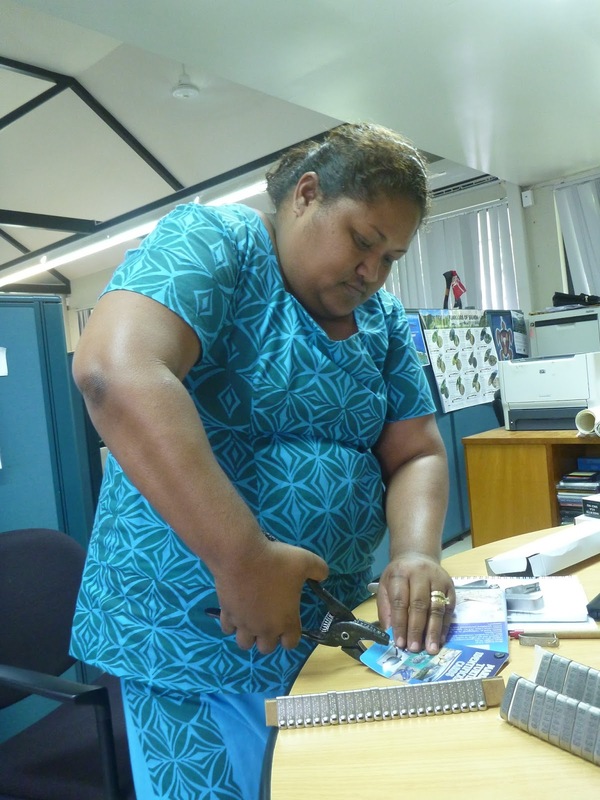 Originally from Solomon Islands, Catherine trains Pacific Islanders on turtle monitoring and tagging, and helps Pacific Island governments develop management strategies for protected marine species. Today was my training day! 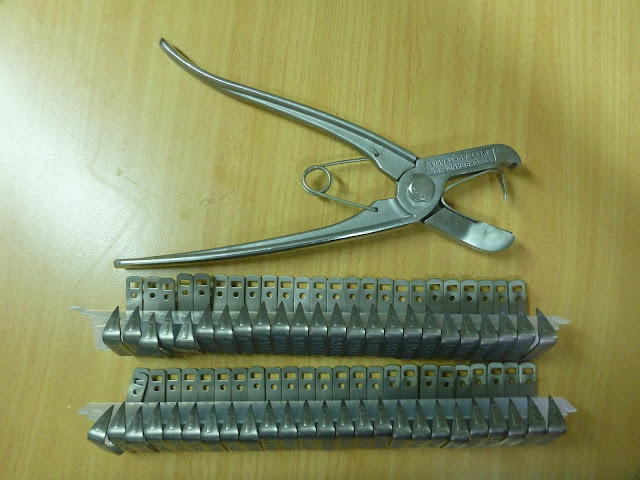 This year SPREP have generously provided the expedition with titanium and inconel tags to clip onto the tail edge of the flippers of turtles. Each tag has a unique number that is entered in the regional turtle database. When a turtle with a tag is caught or spotted, people are encouraged to take note of the number and then report it to SPREP and their respective government. This way, we can find out how many different national jurisdictions a turtle may cross. Catherine gave me a crash course this morning on tagging and what data I need to meticulously record on each turtle, a task that Julie Cavin, a vet from the New England Aquarium and myself, will be responsible for. We have strict protocols in place to make sure we cause the absolute minimum amount of stress to these animals. Tagging is best done on nesting females, though if we cannot find any, we will tag turtles foraging around on the reefs. The data collected will contribute a large regional analysis Catherine and I are doing to understand movement patterns of turtles in the Pacific. 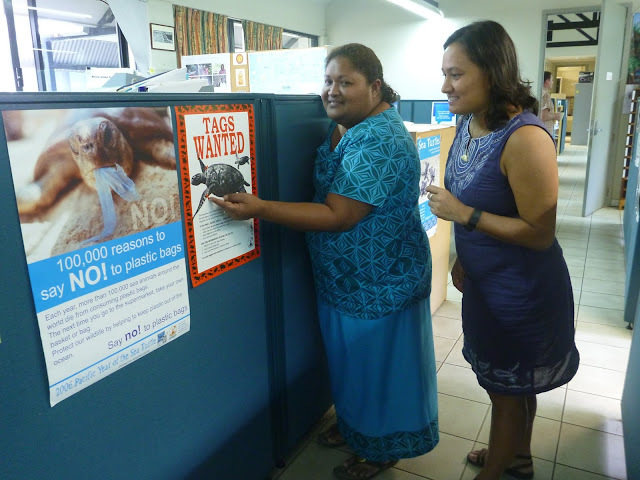 So far, very few turtles have been tagged in Kiribati. We know from previous expeditions that there are lots of green turtles (Chelonia mydas) in the Phoenix Islands, and this species is at least 20 times more abundant than hawksbill turtles (Eretmochelys imbricata). We have seen these two species of turtles on countless dives in the water and documented evidence of turtle nesting on at least even of the eight atolls and islands. A silly errant thought slips past me. If I was a turtle nesting in the centre of the Pacific with vast ocean all around me, I wonder which way would I go? Perhaps our work will help solve this little mystery!